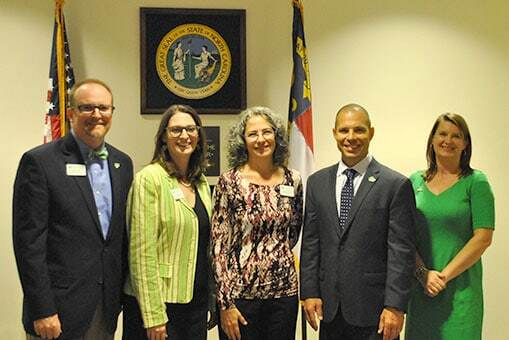 The Autism Society of North Carolina advocates for the needs of individuals and families affected by autism by working with policymakers and other organizations. We believe North Carolina and our federal government must continue investing to ensure quality, accountable service and support systems that focus on community settings and ensure that people with Autism Spectrum Disorder achieve a good quality of life. Our state continues to have an extensive waiting list for services and supports, currently at 12,000 people with developmental disabilities. ASNC issues two-year policy targets to match up with the legislative and budget cycle. We seek input on policy targets from community members, consider the legislative outlook, and decide which issues we will work on to create policy changes. Read our 2019-20 policy targets.